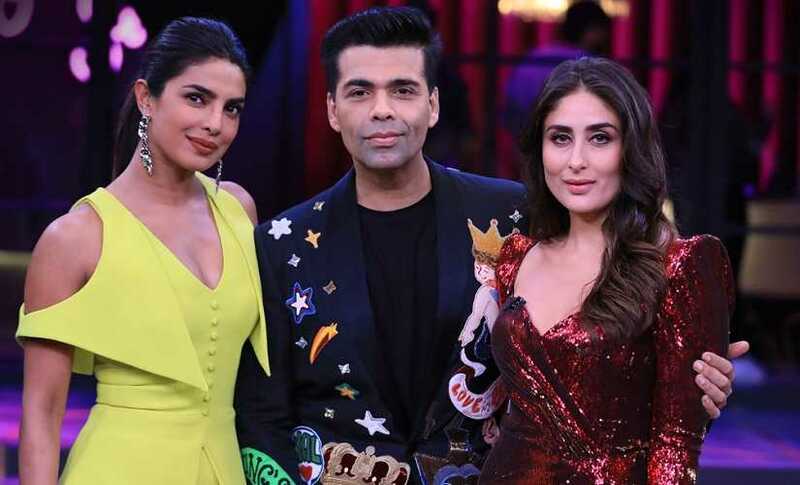 The season finale of Koffee With Karan season 6 saw two of the country's leading actresses Kareena Kapoor Khan and Priyanka Chopra Jonas on the couch. The two spoke about their personal lives, career goals, being the paparazzi's favourite subjects and their previous appearances on the talk show. Host Karan Johar began the episode by pointing out how Kareena and Priyanka have one common factor — Shahid Kapoor, an actor they both dated. He mentioned that while Kareena dated him for five years, Priyanka was with him for two. The Isn't It Romantic actress said that she was neither going to deny nor accept that the two had been in a relationship. She added that Shahid was never a point of contention between them. Both actresses also revealed how the three along with their friends had taken a disastrous trip to Bali. Karan congratulated Priyanka on her wedding with Nick Jonas but complained that he nor anyone else from the Hindi film fraternity had received an invite. To this, Priyanka replied that he had never called her over to any of his star-studded party either. They called it a truce when Karan said she would definitely be on the guest list when he gets married. The two actresses also bonded over the fact that their husbands proposed to them in Greece. Kareena said that Saif Ali Khan had stayed back while she was shooting the song 'Chhaliya' for Tashan. "Just woke up one morning and he was like ‘Listen, let’s get married. I wanna marry you. Let’s just go to a church, let’s just do it right here. I was like ‘ Are you mad?’ He was like ‘Yeah. I don’t care. We’re just gonna do it. I wanna marry you. I wanna spend the rest of my life with you and I can’t see it any other way.’ And I just realised, this was it," she told Karan. Karan probed her about her equation with Saif's former wife Amrita Singh. In a previous episode, Saif and Sara discussed the camaraderie between the children and Kareena. The Veere Di Wedding actress said, "We have never met but I have utmost regards for her. 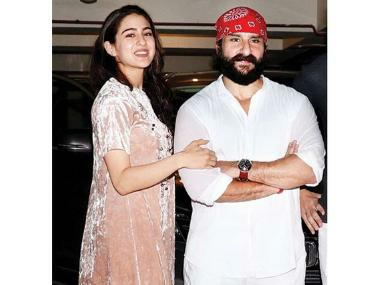 I met Saif many years after he got divorced and he was clearly single." Priyanka spoke fondly about her in-laws. "It's culturally different, but they are so embracing for me it's culturally different when I go with his family and do Thanksgiving. Initially it was for fun but now it's important. Things like that I am also learning. Two people just want to be together and I adorn his family. I love his mum," she said. She also confirmed that Nick had shut down a Tiffany's story to propose to her and it only took her "45 seconds to say yes". Kareena said that she will never venture into Hollywood. "I can't, I have always said that. I am too deeply rooted somewhere here, my family, my love, everything is here and now of course my child," she said, expressing her admiration for Priyanka and adding that she does not think she has the same ambition and determination. In the rapid fire round, Kareena said she wanted to share screen space with Varun Dhawan and was of the opinion that Bradley Cooper looked like Saif Ali Khan in A Star is Born. She also said she would lock up Deepika Padukone, Alia Bhatt and Katrina Kaif in a room in hopes for some drama. She chose Sara over Janhvi and her cousin Ranbir over Ranveer because "blood is thicker than water". Priyanka in her turn said that the the meanest thing a troll ever said about her was the article in The Cut that addressed her as a "global scam artist." The article was eventually pulled down due to intense backlash. When asked if she preferred to work with Sanjay Leela Bhansali or Vishal Bhardwaj, she said that she was in talks with both filmmakers for upcoming projects. Both actresses were witty and honest in their answers, which led to a tie. The tiebreaker question was to name one film from 2018, which in their opinion was overrated. Kareena chose to stay silent on this one while Priyanka said Sanju, thus winning the hamper.